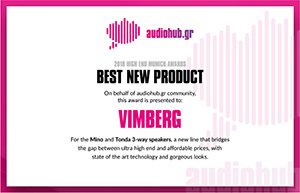 The philosophy for VIMBERG is actually very easy: take the best parts, add the best possible engineering and manufacturing from one of the most established highend companies of the last two decades and create something special. Change your perspective and discover the difference. Pure. Clarity. Music. 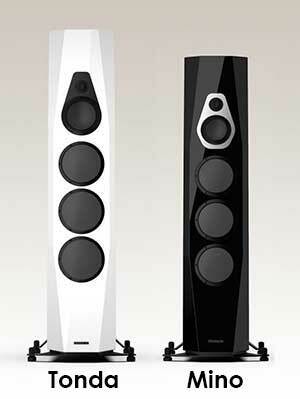 "...Given their heritage and design DNA, the Vimberg speakers could just be shaping up as one of audio’s all-time biggest bargains." ~ Roy Gregory - The Audio Beat / Click the Audio Beat logo below to read the full report. 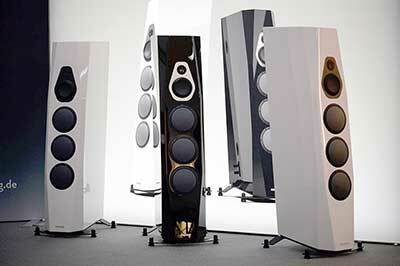 High-end loudspeaker from VIMBERG - more than the sum of its parts. Much more. For extraordinary results, TIDAL used drivers with ultra-stiff and very light diaphragms made out of diamond, ceramic and 3D-shaped honeycomb sandwich material from the specialist Accuton. Those parts were installed into literally low-noise, in-house manufactured cabinets that were constructed using heavy duty waterproof quality materials then finished with resonance damping VIMBERG - piano lacquer. At the heart of it they use only Mundorf and Duelund crossover parts - combined with their unique engineering and crossover designs, to create ultra-linear frequency responses, incredible timing and the complete lack of the driver’s diaphragm signature.